Emo Boy is recruited by fellow classmates to write a song for their band. But when a cute blonde is singing his words, will his emo screw everything up? Yes, it will. 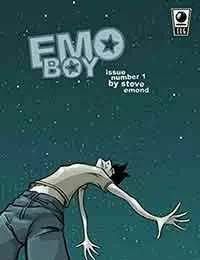 Learn the dark and mysterious secret Emo Boy holds, and then read the Emo Boy interview and learn some less dark and mysterious secrets.